papapapam.fr, le classique qui fait POP ! 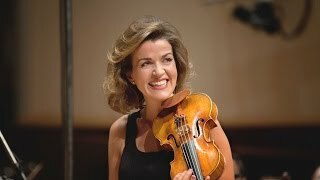 Felix Mendelssohn Bartholdy - Konzert Für Violine Und Orchester E-Moll, Op. 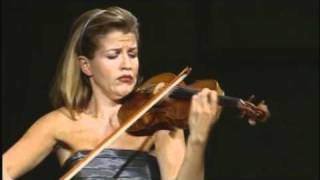 64 Violin – Anne-Sophie Mutter, Berliner Philharmoniker, Conductor – Herbert von Karajan “This digital recording was made in 1980, when Mutter was around 17 years old; she was then recording a fair portion of the violin repertoire with her mentor, Herbert von Karajan. Subsequent events have demonstrated that Karajan's faith in Mutter was wisely prescient, and as a document of the early playing of one of today's most important soloists this release has value to collectors.” 1.Allegro Molto Appassionato – 00:00 2. Andante – 13:58 3. 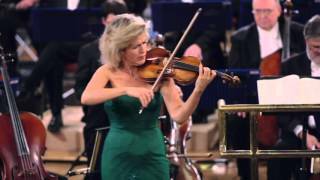 Allegretto Non Troppo - Allegro Molto Vivace – 23:25 Jakob Ludwig Felix Mendelssohn Bartholdy (3 February 1809 – 4 November 1847), born and widely known as Felix Mendelssohn, was a German composer, pianist, organist and conductor of the early romantic period. 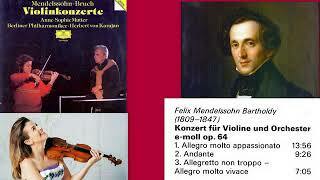 Mendelssohn wrote symphonies, concertos, oratorios, piano music and chamber music. Mendelssohn enjoyed early success in Germany, and revived interest in the music of Johann Sebastian Bach, notably with his performance of the St Matthew Passion in 1829. He became well received in his travels throughout Europe as a composer, conductor and soloist; his ten visits to Britain – during which many of his major works were premiered – form an important part of his adult career. Throughout his life Mendelssohn was wary of the more radical musical developments undertaken by some of his contemporaries. He was generally on friendly, if sometimes somewhat cool, terms with Hector Berlioz, Franz Liszt, and Giacomo Meyerbeer, but in his letters expresses his frank disapproval of their works, for example writing of Liszt that his compositions were "inferior to his playing, and […] only calculated for virtuosos"; of Berlioz's overture Les francs-juges "The orchestration is such a frightful muddle [...] that one ought to wash one's hands after handling one of his scores"; and of Meyerbeer's opera Robert le diable "I consider it ignoble", calling its villain Bertram "a poor devil". When his friend the composer Ferdinand Hiller suggested in conversation to Mendelssohn that he looked rather like Meyerbeer – they were actually distant cousins, both descendants of Rabbi Moses Isserlis – Mendelssohn was so upset that he immediately went to get a haircut to differentiate himself. In particular, Mendelssohn seems to have regarded Paris and its music with the greatest of suspicion and an almost puritanical distaste. Attempts made during his visit there to interest him in Saint-Simonianism ended in embarrassing scenes. 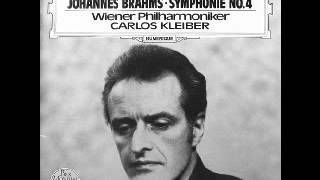 His essentially conservative musical tastes set him apart from more adventurous musical contemporaries such as Franz Liszt, Richard Wagner, Charles-Valentin Alkan and Hector Berlioz. It is significant that the only musician with whom Mendelssohn remained a close personal friend, Ignaz Moscheles, was of an older generation and equally conservative in outlook. Moscheles preserved this conservative attitude at the Leipzig Conservatory, which he founded, became a bastion of this anti-radical outlook until his own death in 1870. 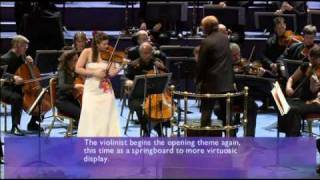 The Violin Concerto in E minor, Op. 64 (1844), was written for Ferdinand David. 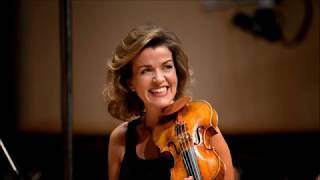 David, who had worked closely with Mendelssohn during the piece's preparation, gave the premiere of the concerto on his Guarneri violin. 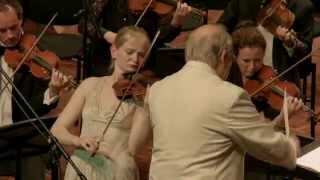 Joseph Joachim called it one of the four great violin concertos along with those of Beethoven, Brahms, and Bruch. 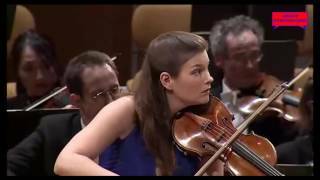 Mendelssohn Violin Concerto E Minor OP.64 (Full Length) Violin : 힐러리 한 Hilary Hahn Conductor : 파보 예르비 Paavo Jarvi Frankfurt Radio Symphony Orchestra 11th,Jun,2012.Seoul Arts Centre Concert Hall,Seoul Korea. ------------------------------------------------------------- I. Allegro molto appassionato-[0:01] II. Andante-[13:20] III. 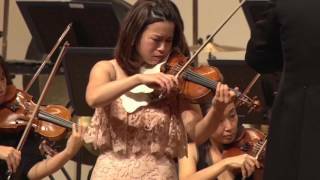 Allegretto non troppo -- Allegro molto vivace-[20:52] ------------------------------------------------------------- Trivia : Not FPSO But FRSO (just joking~~lol) Better Known as Ice Princess "Hahn" She Plays together with FRSO & "Paavo" in S.Korea. (How Various Nationalities~~lol) Meanwhile, Do you know that..? Her Korean Name is Hahn Hye-Ri (한혜리 韓惠莉 )~~ ~~Believe it or not.. --------------------------------------------------------------------- ▶ Let's Listen Symphony & Piano Concerto COLLECTION http://www.youtube.com/playlist?list=PLAE67C269557146C2 .. 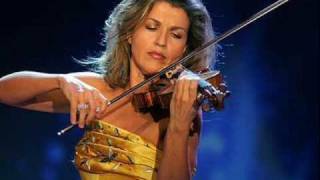 Following her triumphant performance of the Bruch Violin Concerto No.1 with the Oxford Philharmonic (formerly Philomusica), Anne-Sophie Mutter returns to the stage with an encore of Bach: the Gigue from Violin Partita in D minor, BWV 1004. Recorded live in concert at The Sheldonian Theatre, Oxford. Audio by Orientis Recording Services, film by TallWall Media. 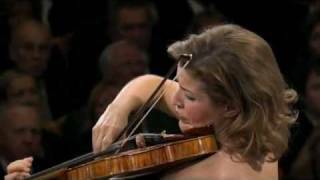 Anne Sophie Mutter - F. Schubert: Piano Quintet in A-major D. 667 "Trout Quintet"
Janine Jansen performing Mendelssohn's Violin Concerto in E minor. Night At The Proms with the BBC Orchestra. July 15, 2005. Year of composition: 2009 The title of Lichtes Spiel might be translated as "Light Game" or "Light Play", and may be taken as a pun on the German expression "leichtes Spiel", meaning "an easy job"; or what we might call "Child's Play". 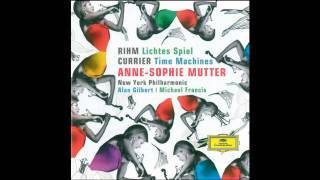 Wolfgang Rihm has said that he intended it as "a transparent orchestral movement... something light, but not 'lightweight'". The result, which uses instrumental forces of Mozartian proportions, is a detailed, finely wrought score in which the composer provides fine-tuned indications of how practically every note is to be articulated. Instructions for tempo and mood are similarly precise. For example, the notation governing the opening section: Un poco sostenuto, non troppo lento, poco à poco più scorrendo ("A bit sustained, not too slow, bit by bit more scurrying"). It is the sort of directive one sometimes finds in Beethoven, particularly in his late works. A fair amount of variety is incorporated into this work as well, and extends to its dynamics, which occasionally reach a point of relative loudness -- most notably in a passage marked Allegro, un poco pesante ("Fast, rather heavy") about three-quarters of the way through. Nonetheless, high volume is a rarity in this piece, which is overwhelmingly skewed toward the quiet end of the sonic spectrum. In fact, the overriding dynamic indication would appear to be pianissimo: the work begins and ends at this very quiet level, and it returns throughout as a sort of reference point from which the music may depart but to which it always returns.